A pair of Democrat-aligned groups is out with a new $1 million digital ad campaign, accusing Republican Gov. Rick Scott of getting rich off shady companies during his time heading Florida. 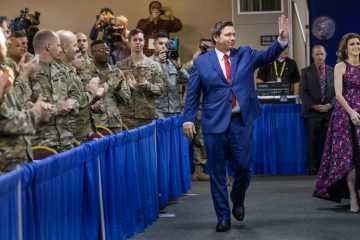 Scott is currently attempting to unseat Democratic U.S. Sen. Bill Nelson. Now, Senate Majority PAC (SMP) and Priorities USA Action say they will launch the trio of 15-second spots, aimed at targeting users on Facebook, Google, YouTube and Pandora. Each ad goes after a different Scott investment. The first, titled “Gilead,” scorches Scott for his investments in the drug company which shockingly charged $1,000 per pill for a Hepatitis C treatment. “Rick Scott made $235 million dollars as Governor, investing in companies like Gilead, a drug company that was accused of price gouging patients,” the ad’s narrator says. 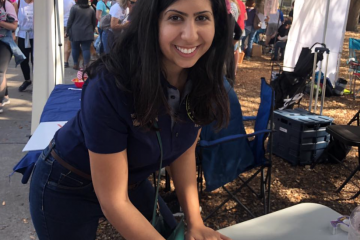 The next ad moves on to Scott’s role in approving the Sabal Trail natural gas pipeline while maintaining an investment in the company which built and operated the pipeline. “When some Floridians objected to a pipeline being built in their neighborhood, it got approved anyway by Rick Scott’s administration,” the ad’s narrator recalls. Then, there’s Scott’s investment in Mosaic, which owns a central Florida plant that was the site of a sinkhole that poured polluted water into the state’s aquifer. 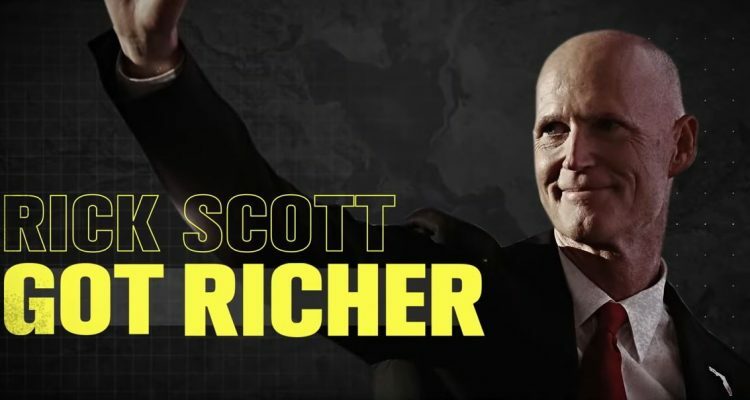 “Rick Scott has made $235 million dollars as Governor, investing in companies like Mosaic, a chemical company that contaminated our drinking water and didn’t tell us for weeks,” the ad’s narrator begins. 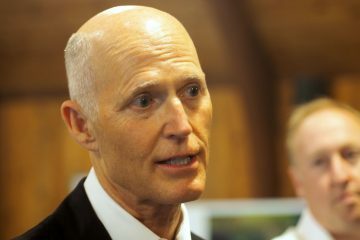 Scott’s campaign pushed back against the groups’ efforts to go after the Governor’s investments. “Chuck Schumer knows that the end of Sen. Nelson’s long political career means the end of his most reliable party-line vote,” said Kerri Wyland, a Scott spokesperson. The Scott team noted that he owns no shares in Mosaic, pointing to his financial reports filed with the Senate. However, reporting from the time of the incident in 2016, and even earlier, shows that Scott did at one time own shares of Mosaic stock. Scott did, however, take action to address the Mosaic crisis after it happened. And the Governor has touted that his investments were put into a blind trust, which would purportedly shield him from any decision-making regarding his portfolio. That is, if he was invested in these companies, it would have theoretically not been his decision. 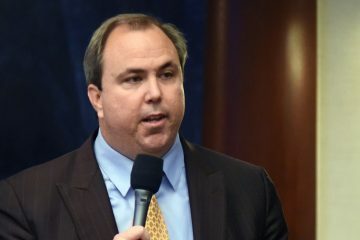 “As Governor, Rick Scott enriched himself and his cronies while Florida paid the price,” said J.B. Poersch, president of SMP. Guy Cecil, chairman of Priorities USA Action, also added a statement on the ads’ release. “Throughout his time as governor, Rick Scott has turned his back on the people of Florida,” Cecil said.